Whether you have an oversized walk-in closet in your master bedroom or a tiny one in your college dorm room, you won’t be happy unless you truly maximize the space. Without proper organization, a closet can quickly become a jumbled mess and it becomes hard to find the things you need. Our tips can help you take control of a mountain of clothes that fall out every time you open the door. There’s a good chance you’re hanging on to clothes you don’t wear. Make some space for yourself by getting rid of them. You might be able to pick up some money by selling them to a consignment shop. Otherwise, put them in bags and drop them off at the local thrift stores. 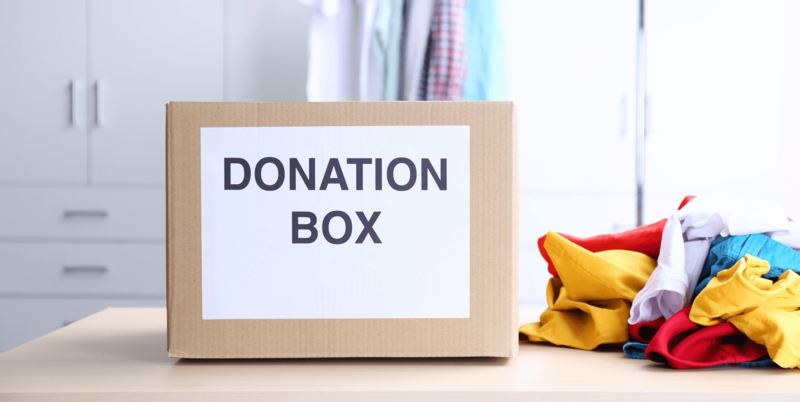 Consider donating professional attire to Dress for Success, which helps low-income Calgarians find clothes for interviews and a more professional job. The Cinderella Project is a good place for your collection of bridesmaid and formal dresses; they give prom dresses to students who need them. 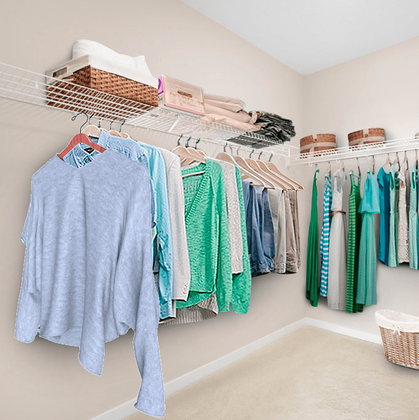 With an extra hanging rod, you can double the space in your closet. If you hang it around hip level, you should have enough space for dress shirts on the top rod and pants on the bottom rod. It’s harder to do this with women’s clothes because the dresses take up more space. However, there are closet organizers that can divide the space so you have a double hanging rod in just half of the closet space. An adjustable rod is easy to use. The back of the door can offer valuable real estate for storing things like scarves, ties, shoes or jewellery. Fortunately, there are a variety of over-the-door hangers you can use to suit your needs. With simple hooks, this organizer works well for things like your bathrobe, favourite sweater, belts and scarves. Shoe organizers are another a popular choice and you could also use them for other accessories. The width of a closet often extends beyond the door but the corners can be difficult to use because you can’t see well or reach what you need. Make this space more useful with shelving that runs perpendicular to the hanging rod. You could also add hanging rods in this direction. A closet that’s just a simple rod with an upper shelf doesn’t offer you a lot of organizational options. You’ll make better use of the space when you install a closet organizer. The key to making this work well is to choose one that fits precisely into the space you have. Custom-built organizers are the best option but you can sometimes find adjustable versions. Many closets have one or two shelves at the top. This works well if you’re just storing boxes, but if you want to use it for folded sweaters or anything else, your piles start to fall into each other. Shelf dividers are adjustable and easy to use. Consider buying a small step stool to keep near your closet so you can reach those upper shelves. People tend to keep their shoes on the closet floor but this takes up valuable space. Instead, keep your shoes in an under-the-bed storage container or organized on shelves in the mudroom closet. You can then use the floor of your closet for boxes or you can just keep it clean to give your closet a tidy look. Your closet doesn’t have to be a disorganized mess. 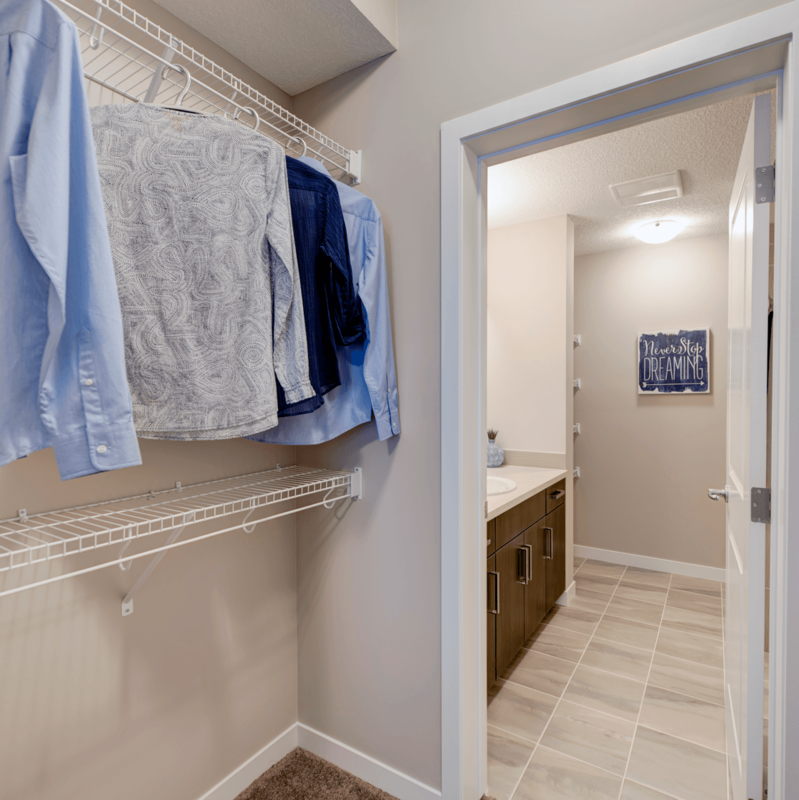 If you’re making plans to build a new home, ask your builder how they can design a closet that will work for your needs. If you already have a home, a few inexpensive organizers can help get your closet in shape. At the end of the weekend, you could have a closet that looks much better. 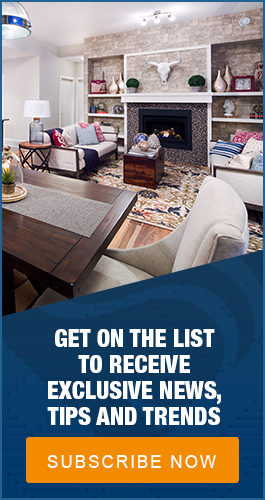 Looking for more great ideas on how to free-up space in your home? Check out our previous posts on maximizing space in the kitchen, living room, and bathroom.